I watched the whole game and I have to say Golden State are not taking New Orleans seriously..well maybe it’s just Curry. It’s the playoffs and the body language of Curry was saying “We got this..”. No way it’s going to be an easy series when you have Anthony Davis on the other team. Man he is such a beast on both ends. Watching how New Orleans set up their half court plays sucked though. They panicked and pretty much put Davis on one on one offense. Not sure why Gordon and Davis play the pick and roll in the last quarter. May have worked much better than isolation for Davis vs Green. Give credit to Draymond Green who played awesome defense, however even when Davis beat Green on D there’s too much help with not enough 3 pointer shooters for New Orleans. Yes they have Eric Gordon who was on fire, but I didn’t think he made a huge impact down the stretch. He had a crucial turnover in the last 5 minutes. I have to say, lucky Golden State has a deep bench, Barbosa and Igoudala played well and got them back into the 2nd half. And of course Thompson caught fire. If Curry don’t take them seriously next round they may lose, especially with a home court advantage for New Orleans. I just wonder what will happen when the Splash brothers go cold. It will happen sooner or later though. New Orleans would definitely have to run off Golden State off the 3 point lines and close out on Curry and Thompson. Anthony Davis have to start well from the 1st quarter. Ryan Anderson needs to take more shots from the 3 point line. Dish and drive I say when you have Eric Gordon, Tyreke Evans and Jrue Holiday (coming back for game 3 I heard). How Golden State will win? Pretty much do the same that they’ve always done before post season. Shoot the lights out, move the ball and get the Splash brothers going. Coach Kerr has freaking good plays though! far out, some of them are unstoppable. Orlando – THarris (Got game!) and NVucevic (Killing it as usual, getting those board and solid post moves) . San Antonio – Spurs still got it unfortunately 😦 (not a big fan of them).. it’s scary that KLeonard didn’t play and they’re still good. Freak. Dallas – DNowitzki still carrying the team. Shooting the lights out and C L U T C H! Unfortunate they lost though. Los Angeles – Hoping JLin steps up, but ended up playing ‘OK’. KBryant looking good though, efficiency (6/17 FG) is terrible as always. But then again who is going to score other than him? Sad news for JRandle (broken leg), another injury. Hopefully he gets better! I think he would’ve started mid season if he didn’t get injured. Houston – JHarden is an offensive machine! He get BUCKETS! On the side note.. if no one steps on the bench won’t past 2nd round in the playoffs. Overall, pretty good first day. So happy it’s back! Toronto Raptors – Solid Starters and bench. Chicago Bulls – If DRose stays healthy, they’ll do well. Cleveland Cavaliers – I wonder why..
Atlanta Hawks – JTeague/PMilsap pretty much makes the team, now AHorford is back and solid bench players. Miami Heat – Great pick up of LDeng, still solid with CBosh &DWade. Charlotte Hornets – AJefferson, KWalker and now great pick up of LStephenson (as well as MKGilchrist looking to play well) should be doing quite well. Washington Wizards – Great pick up of PPierce and solid young team of JWall and BBeal. Detroit Pistons – Coach SVangundy should turn the team around. Massive potential for ADrummond/GMonroe/CaldwellPope/Jsmith. Dallas Mavericks – RCarlisle 1 of the top coaches should get the team in top 8 again. CParsons should help the team on the wing. PG position a bit weary though. Houston Rockets – Dumb move for losing CParsons and JLin. Got TAriza and massive potential in the rookie though. San Antonio Spurs – Coach GPopovich is pretty much the team. As long as he is coach they’ll make top 8. New Orleans Pelicans – ADavies is literally killing it. Solid front and back court. Oklohoma City Thunder – When KDurantt comes back they’ll start to win, but won’t win the whole thing unless JLamb and RJackon steps up. Portland Trail Blazer – DLillard and LAldridge will carry the team. Bench needs to step up big. 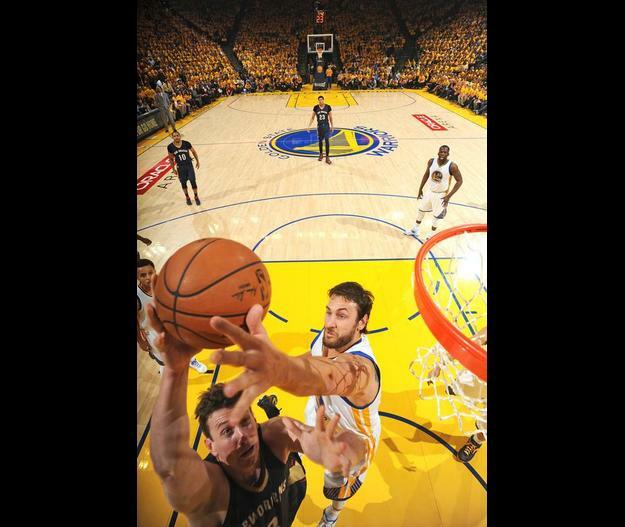 Golden State Warriors – ABogut needs to stay healthy, SCurry and KThompson (Splash Bros) will keep getting buckets. AIgoudala need to step up and score. Los Angeles Clippers – Coach DRivers is a genius will make BGriffin and DJordan better players. Solid bench players and as always CPaul will facilitate the team. I will put up top 16 in order after mid season. And so the long wait begins….until Tuesday, October 28, 2014. Till then hang tight!